Spread about 1 tablespoon of the cream cheese on 2 pieces of asparagus. 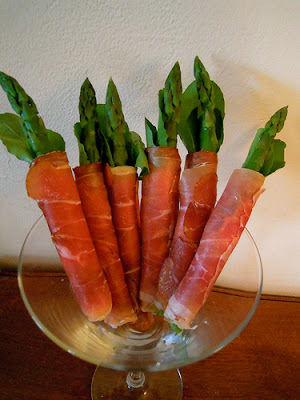 Wrap the asparagus with 1 slice of prosciutto so it makes a little bundle. Garnish with the spinach or arugula leave if desired.